Cornucopia. 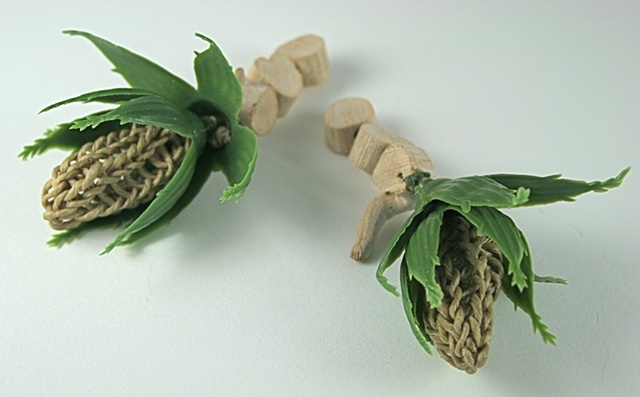 This one-of-kind earring is made from found driftwood, waxed linen, and found plastic flower parts. Post earring.